Today we interview Jamila Al-Yousef, Project Coordinator of the “Welcome Board” in Niedersachsen. She also is the founder of »Arab* Underground«, a yearly program held at the Fusion Festival, aiming to make the diverse perspectives of the MENA region visible by means of art and talk formats. In 2015 she was commissioned by the Musicboard Berlin to lead the academy for young talents of the first “Pop–Kultur” festival at Berghain. Moreover, she is part of the management and booking team of the bands »Bukahara«, »Avi & Ahmed« and, »Il Civetto« and is also singer in her own band »Jamila and the other heroes«. Jamila works for the “Welcome Board” since July 2016. What is the Welcome Board? The Welcome Board is a joint initiative of Musikland Niedersachsen gGmbH and the Ministry of Science and Culture of Lower Saxony with the aim to support refugee and migrant musicians. 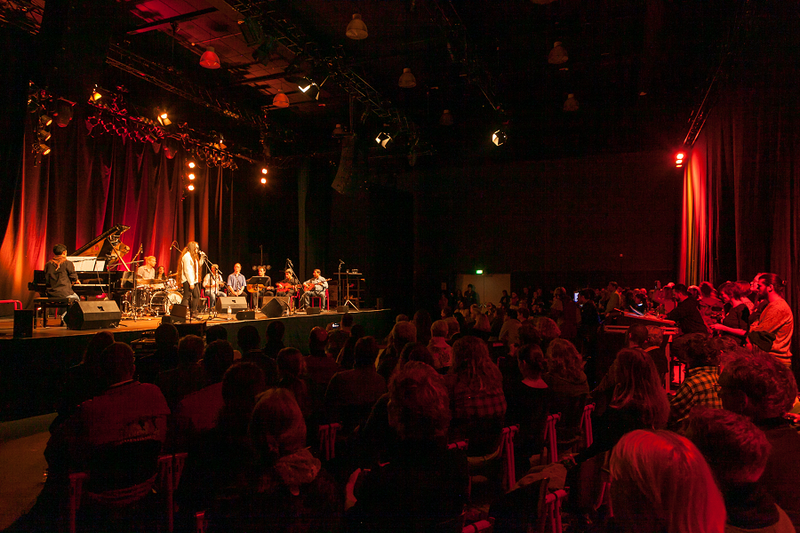 Musikland Niedersachsen gGmbH is connecting different players in the music scene of the federal state of Lower Saxony. How did the Welcome on Board adventure start? End of 2015 – when a lot of refugees reached Germany, among them aprox. 100 000 in Lower Saxony – we felt it is our duty to reach out them, as our target group are professional musicians. With support of the Ministry of Science and Culture we got project funds to start the „Welcome Board“. End of July we started working with a team of four young, highly motivated people in Hannover, among them also a person that came to Germany as a refugee. All of us are musicians, too. That quickly connects us with the musicians we get to know. How did you start your project and select the participants? Which was your objective? We created an Open Call in different languages to reach out to musicians and people working in the field of music. At the moment we are already in contact with more than 80 people who newly arrived to Lower Saxony. Half of them we already met during personal interviews in which we try to find out what was their situation as a musician before, now and what is their aims for the future. The main question is with which musical competences they want to enrich the cultural scene and how we can support them in doing so. In our weekly meeting with the whole team of Musikland Niedersachsen gGmbH we make a so called “Matchmaking round“ – i.e. the people we interviewed are presented with their competences, basic needs or obstacles to achieve their vision as musicians. Then we discuss how to consult and support them with our big network e.g. to help project ideas develop, connect them for concerts, internships, further education and much more. As one of the main needs we discovered is isolation in the countryside, we started a monthly concert and jam session with our partner Schauspiel Hannover, called „Dance the Tandem“. Here people can find other musicians, create something together and develop their network. Also simply having a free space to perform seemed very important to us. As a result of these jam sessions and many requests for concerts, the idea was born to create an ensemble. We newly formed the „Welcome Ensemble“ that had its first and very successful gig during the yearly conference of Musikland Niedersachsen in November 2016 at Pavillon Hannover. For that occasion the composer Rami Chahin created a song for us called „Ein Koffer unterwegs“ (a travelling luggage). What are the future plans of the project? 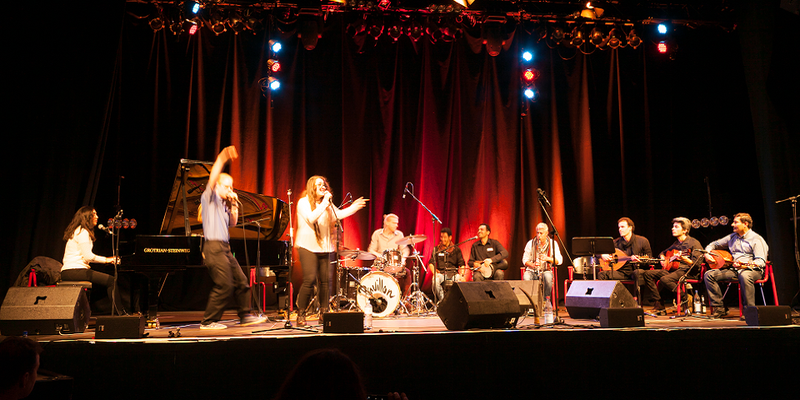 In collaboration with diverse partners such as the Center for World Music at University of Hildesheim, the Music Schools of Lower Saxony, the cultural office of Hannover and the Music Academy of Lower Saxony we hope to implement new programs such as a fund for instruments, an academy to train diverse skills for free-lance professional musicians and the inclusion of music teachers bringing in diversity skills, new instruments and music styles in musical educational. With these steps we aim at creating spaces for respectful encounters and a sustainable opening in two directions: On the one hand, we are committed to opening the local institutions to music and people from other regions of the world. On the other hand, we want to make the music landscape of Lower Saxony more tangible to newcomers and show them ways to participate into the Lower Saxon cultural and social life.